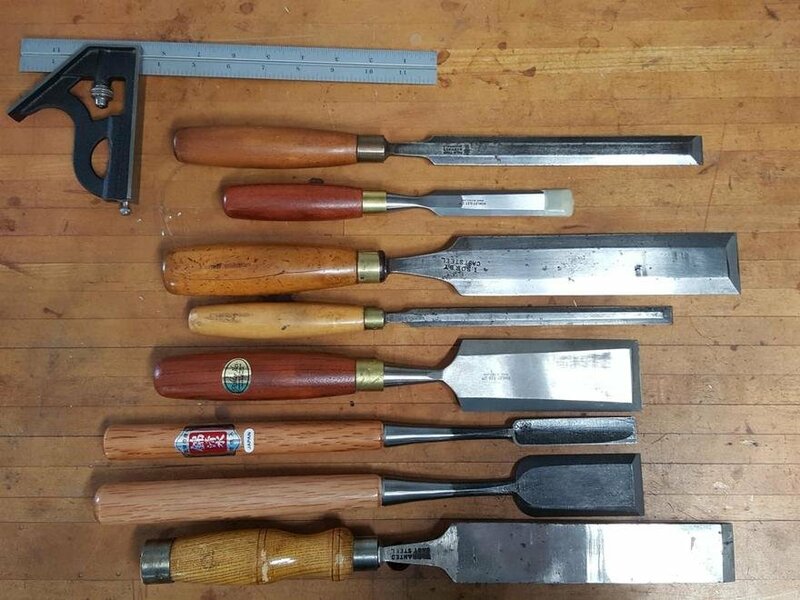 From the top: Paring Chisel, Ashley Iles Beveled Edge Bench Chisel, 2 more paring chisels, 2" Ashley Iles Bench Chisel, 2 Nishiki extra thin paring chisels, and a Registered Chisel. 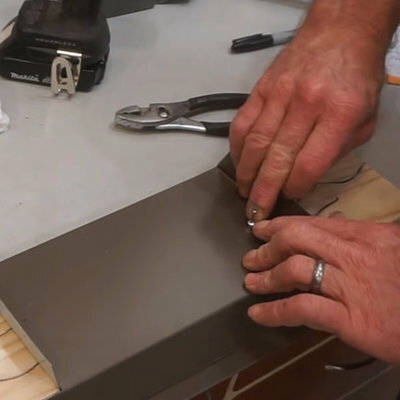 When a tool maker or seller talks about paring chisels, we don't mean chisels that can be used for paring: Almost any chisel can be used for paring. Rather, we are referring to chisels that were designed to making accurate paring easy. A handle not designed for mallets. Of the paring chisel's three features, this one is the least distinctive. To enhance control, paring chisels typically have handles designed to be pushed - thin, long, and graceful - rather than the big and possibly hooped handles that are designed to be struck. Thin handles also put the weight of the chisel at the cutting edge so that the tool is easier to maneuver. Length. This is the paring chisel's second most important feature. 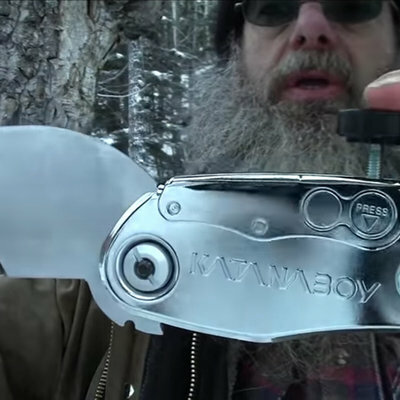 Human hands aren't perfectly steady, especially when trying to push a chisel into resistance. But by making a paring chisel very long, the natural side-to-side movement of the hand's impact is minimized at the cut. And the benefit of the long length is that you can easily sight the chisel to make sure it is at the correct angle to the work. Low Cutting Angle. This is probably the most important feature. 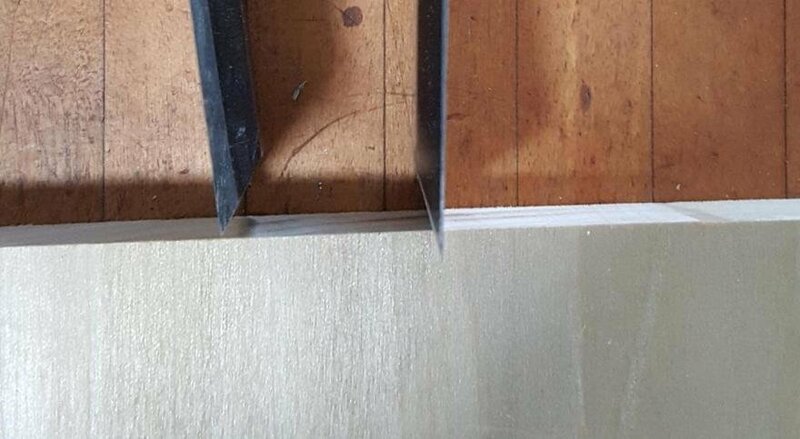 The lower the cutting angle, the lower the forces needed to advance the chisel in the wood. This means more control -- and also less of a need for a mallet. While bench chisels are usually set at 25 degrees from the factory, and Japanese chisels at 30-35 degrees, Western paring chisel show up at 20 degrees -- or even less. This translates to an edge that is very fragile but possessing a superb cutting ability. It's why shaving razors are ground at such a low angle as well. Of course the low angle doesn't work if the steel can't take the low angle. So the best paring chisels are all made of simple carbon steel, hand- or drop-forged for better performance. A wider chisel takes more effort to push through wood than a narrower chisel does, so the wider the paring chisel, the more important it is to have a low primary bevel angle and a blisteringly sharp edge. Last week I experienced the fragility of the sharp edge when I used the wide I Sorby paring chisel in the photo above and I accidentally knocked the edge against something (not very hard). The edge distorted. I stropped it, but it really needs to go back to the stone. Up to the 1970's, paring chisels were mostly used by pattern makers for careful final dimensioning of a wooden pattern that would be used for metal casting. The best paring chisels on the market were officially called "Patternmaker's paring chisels" because those were the longest. They were also very thin and slightly flexible so that you could "English" them as you applied hand pressure. Of course, English toolmakers were not the only ones to manufacture paring chisels. In the US, Stanley made a longer version of their iconic 750 chisels. The Stanley 720 series was their "paring chisel," and while not nearly as thin or as long as the English versions, the 720 comes out of the American millwright's chisel tradition and is typical of the paring chisels made by all the American makers. Japanese paring chisels have the same long length, but the length is in the handle, not the blade. They are stiffer -- and to my taste less desirable -- but that's very much a personal preference. Millions of woodworkers would disagree with my preference. In reality, Japanese paring chisels are perfect for the precise joinery that Japanese woodworking is known for. Left: Nishiki. Right: English I. Sorby. We stock Japanese paring chisels by both Nishiki and Iyori. The former are superb, thin, easy to sharpen, and hold an edge. The Iyori chisels have a triangular section that makes them stiffer, but also easier and less expensive to make. Back to English paring chisels. When shopping for them, look for beveled sides, not straight sides. Straight-sided chisels are known as "registered chisels." Registered chisels don't have the finesse you would want in a paring chisel. They're typically thicker and are more suited to larger work in timber framing. Older English paring chisels have nice wide bevels -- more elegant and able to get into corners more easily. Sadly, those dating from the 1980s and beyond just have token beveling at the side and frankly don't pass muster with me. The reason we do not stock any Western paring chisels is that as far as we know nobody is currently making anything that I would consider worth owning. Older paring chisels have nice octagonal bolsters, which were hand-forged, ground, and harder to make than round bolsters. 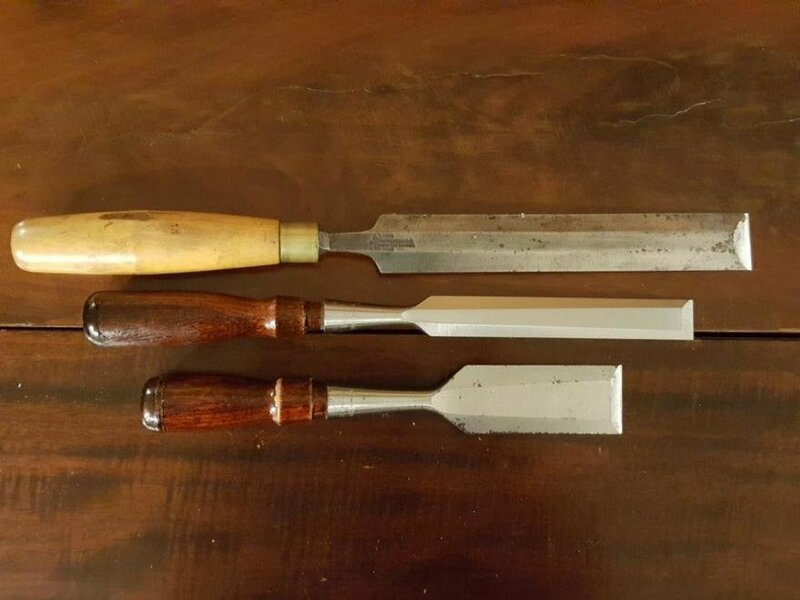 Boxwood handles were the traditional material for paring chisels. Boxwood is brittle so it doesn't like being struck, but finishes up nicely and has a great feel to it. Incidentally, the traditional way of fitting boxwood handles was having a snug but not pressure fit on the tang, and attaching the tang with a bit of rosin poured in the hole. Both of these features are nice to have, but not requirements. Because paring chisels are long, thin, and have bevels, they are hellish to make and require the highest skill level of any chisel. Stanley and others solved the manufacturing issues by making the chisels fatter -- at the expensive of performance. 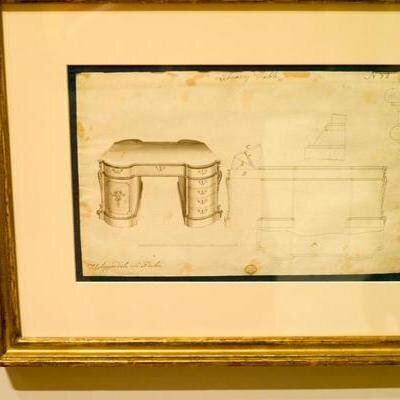 The basic problem is that the chisel forge has to forge a long thin straight blank, which is hard to do, and compensate for warping during hardening. After hardening, the chisels have to be made straight again, only to curl up as the side bevels are ground in. It's a no-win situation requiring great skill in forging and grinding. Ray Iles told me that by the 1970's Ashley Iles was forging large quantities of paring chisels, and one of Ray's jobs as a youth was bringing the paring chisel blanks to the one guy left in Sheffield who ground paring chisels for all the edge tool makers. According to contemporary catalogs, English paring chisels were made in widths from 1/8" to 2". I have never even heard of an 1/8" paring chisel, so it's possible it's wasn't a practical size and was never really manufactured. 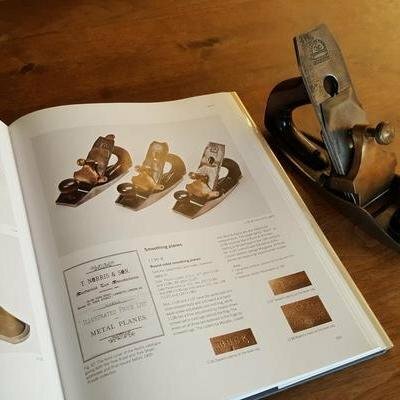 For me, larger sizes -- 1 1/4" - 2" -- are the ones that get the most use, but since I am not a patternmaker, nor a Japanese temple builder, the main use I have for them is paring a mortise to a scribe line after chopping, and occasionally trimming a surface. For paring the odd fat dovetail joint, I use my regular bench chisels. Instrument makers also love paring chisels for the precise formation of wooden parts. With that in mind, what I recommend is that if you see some wide English paring chisels, in decent shape, that are fairly long, snap them up. But don't lose sleep if they seem elusive. From the top: Paring Chisel, Brand New Stanley 720, Nearly new Stanley 750. P.S. We expect to get a shipment soon of Ashley Iles beveled edge chisels with the wide 2" size back in stock. Uber long paring chisels might be a discretionary purchase but I think wider bench chisels are very useful. While you might not use them every day, having wider (1 1/2" or 2") bench chisels, are especially useful for cutting clean joints at a scribe line or cutting wide base between pins on a dovetail joint. 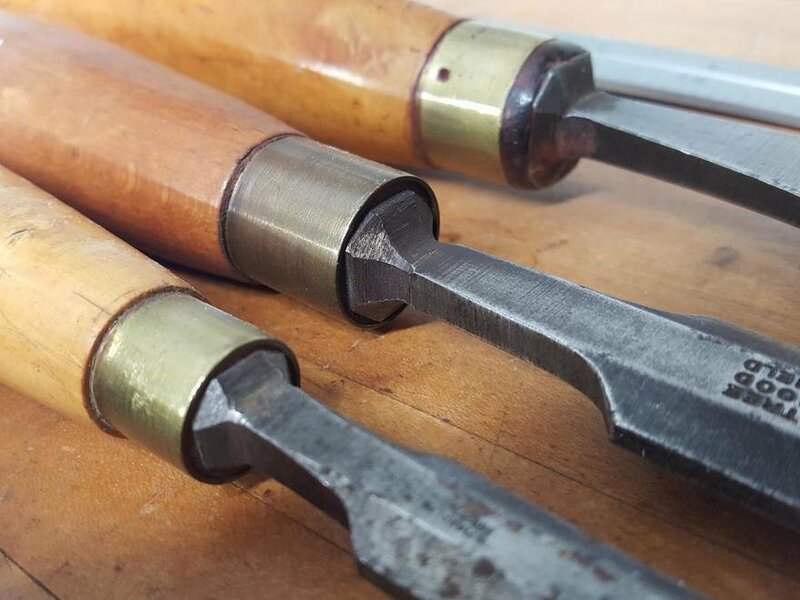 As with paring chisels, with wide chisels of any kind, a low angle, and keeping them uber sharp will make them much easier to use and get the results you want.